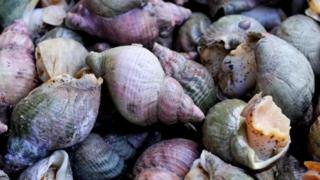 New measures to prevent overfishing of whelks in the Irish Sea have been put forward by the government. The proposals include whelk-specific fishing licences and extending the restrictions of catches from three miles to 12 from the Isle of Man coast. The whelk harvesting industry is worth in the region of £750,000 to the Manx economy each year. Fisheries Minister Geoffrey Boot said the aim of the proposals was to achieve sustainability. Mr Boot said: "Whelks are one of five major species - along with king and queen scallops, lobsters and crabs - caught in Manx waters and contribute to an increasingly high-value and quality industry."